Climate change scored less than two minutes in the federal Treasurer’s 40-minute budget speech, which provided no worthwhile new ideas to deal with climate change, the planet’s number one threat to human life. Australia’s emissions of carbon, the driver of climate change, come mainly from energy generation (about 34 percent), industry (30 percent), transport (19 percent) and agriculture (15 percent). Under the budget proposals, the government would pay $1.38 billion to the government-owned Snowy Hydro, to fund construction of the $4 billion Snowy 2.0 project. That scheme involves river water being pumped up to high reservoirs and released later to provide extra hydro power and iron out irregularities in daily energy demand, particularly due to variations in wind and solar energy generation. The climate change threat demands urgent action but Snowy 2.0 would take at least six years to complete, whereas South Australia’s highly successful energy storage complex was constructed in less than twelve months. The government’s proposed $56 million Marinus energy connector would provide the mainland with an extra 3,000 megawatts from the Tasmanian hydro system. This would probably involve construction of new dams, resulting in another bitter struggle like the battle over the damming of the Franklin River. And construction would probably take ten years. The government has previously given tentative approval for ten energy projects under its Underwriting New Generation Investments program. However, these haven’t progressed to commitment and weren’t mentioned in the budget speech, and $10 million of the program’s budget would go towards a feasibility study into constructing another new heavily-polluting coal-fired power station in Queensland. The government has allocated $79 million over seven years to support investment in reliable energy generation and supply, but that almost certainly rules out renewable energy generation in the government’s eyes. The budget makes no reference to phasing out the mining and use of coal, a crucial measure in dealing with the climate change menace. It allocates an extra $1.8 billion per annum for fossil fuel subsidies to benefit mining companies, a total of $9 billion every year. The government won’t release a policy on electric vehicles until next year. All of Australia’s cars are now imported, and overseas auto firms are rapidly converting to production of fully electric vehicles. Under Coalition government policies, within 20 years Australia’s petrol and diesel automotive infrastructure may still be largely unchanged, but there may be no internal combustion engine vehicles for sale. The government proposes to spend $189 million over four years propping up the Abbott regime’s totally discredited and almost totally ineffective Emissions Reduction Fund, now renamed the Climate Solutions Fund. The scheme would pay companies to stop pumping out carbon emissions, rather than penalising them for doing so. The government claims it will reach Australia’s Paris carbon emission targets “in a canter”, but when calculating emission reductions it ignores emissions from agriculture, transport and heavy industry. It continues the fraudulent “double-dipping” practice of adding excess Kyoto program emission reduction “carry over” credits to any reductions it manages to make under the Paris Agreement. Without that fraud it would fail miserably to reach Australia’s emission reduction targets. And if other countries decide to follow Australia’s lead on “carry-over” credits, the feeble Paris agreement will be wrecked. The Coalition’s fraudulent emission credit “double-dipping” practice would be banned by Labor, which has set itself a 2030 target of 45 percent emissions reduction compared with 2005 figures, and a 2050 target for zero emissions. 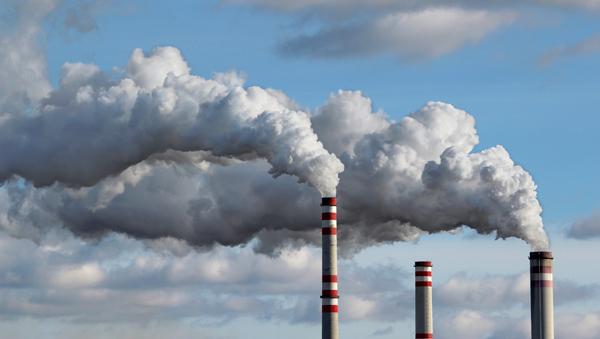 The Climate Council says the 2030 target should be at least 65 percent. Labor wants electric vehicles to comprise 50 percent of all vehicles sales by 2030. The conservative National Roads and Motorists Association recommends reaching that target five years earlier, in 2025. Labor proposes to establish a $200 million national electric vehicle charging network, and to introduce limits for light vehicle emissions. It also wants to impose a “cap and credit” emissions trading scheme on polluters. However, that would enable corporations to buy credits from low-polluting firms in developing countries, allowing the Australian firms to buy their way out of their environmental responsibility very cheaply. Overseas emissions trading is also highly vulnerable to fraud. Labor wants to strengthen the Climate Change Authority, which was established to provide advice on climate change policies, but was ruthlessly deprived of funds and expertise by the coalition. However, like the Coalition, Labor fails to address the major issue of reducing the production of fossil fuels. Its policy statement doesn’t mention the infamous Adani coal mine proposal in Queensland. Labor exempts agriculture from firm carbon reduction targets and allocates $30 million to pay farmers not to clear the land, rather than requiring them to refrain from doing so under the law and in the national interest. Labor’s climate change policies are inadequate but nevertheless mostly welcome. In glaring contrast, the Coalition has deliberately done as little as possible in order to retard the transition to clean energy sources and preserve the dominance of the fossil fuel industries, whereas the situation demands radical action as fast as possible. The Morrison government’s policies constitute a major threat to future generations of Australians, and it must be dumped at the coming federal election.